At the time, when our then-editor Graham Charlton asked Malm what Phrasee’s plans were for the next few years, he replied that, “We’ve got a million ideas, some crazier than others. The hardest part is deciding what to do first. Last year, Phrasee was finally ready to shout about one of the biggest developments since its founding: in September 2018, it launched the first AI-powered copywriting tool for paid social ads on Facebook and Instagram. The new tool was piloted by deals brand Wowcher, along with three other household brand names, and managed to deliver a 31% cost per lead (CPL) reduction for the brand’s Facebook ads. I spoke to Sara Cartelle Buceta, Account Director for agency Tomorrow TTH, who worked with Wowcher to implement Phrasee’s new AI, about how they implemented and tested the new technology, the results that it produced, and what the future holds for AI in marketing. I also caught up with Phrasee CEO Parry Malm to find out how the new technology works, how it differs from Phrasee’s email copywriting tool, and how the algorithm manages to learn and convey each brand’s unique voice – including the use of emoji. When Phrasee announced the launch of its new copywriting tool for Facebook and Instagram ads, the team at Wowcher – who were already working with Phrasee’s technology in their email marketing – were eager to try it out. Did Tomorrow TTH and Wowcher have any reservations about using AI for Facebook ad copy? “Of course,” says Buceta, “when you start a new campaign with a new technology, there’s the possibility that it might not work – or, it could work really well. We started with a really low budget at the beginning, and we had daily emails with Phrasee and with Wowcher, which helped to build confidence in the campaign. “The campaign was a little challenging because Wowcher generates a lot of ads per week – they have a lot of promotions,” explains Buceta. “One week, one promotion might be working really well, and the next, it might not perform as well, so it’s a very dynamic setup. The main goal was to compare Phrasee’s technology against human copy, using A/B testing. Tomorrow TTH ran different ads within the same assets on Facebook, allowing them to carry out a side-by-side comparison. This setup also had the benefit of allowing the Facebook algorithm to learn and improve performance as they went along. As the AI tool began to show results, Tomorrow TTH and Wowcher gradually increased the budget and scale of the ads they were running. The AI-optimised ads succeeded in reducing Wowcher’s cost per lead by 31%, and there were other benefits as well: namely, a greatly increased Relevance Score. On Facebook, Relevance Score is the social network’s means of measuring quality, similar to Quality Score on Google Ads. The higher-quality and more relevant an ad, the higher its Relevance Score, and the more Facebook will boost that ad on its platform. The cost per click (CPC) on that ad will also be lower, generating a much better return. “A good Relevance Score is about 7, and the ads that we ran with Phrasee were generating a Relevance Score of around 9 – sometimes even 10 – which was really positive,” says Buceta. Though it may be helping to increase the appreciation of their craft, some copywriters are alarmed by the existence of a tool like Phrasee’s, fearing that it may put them out of work. (Phrasee’s CEO Parry Malm is often keen to emphasise that his company “loves copywriters” and employs many of them – the AI only works with small, structured language sets like subject lines and social ad copy, and couldn’t outperform a human with longform copy). 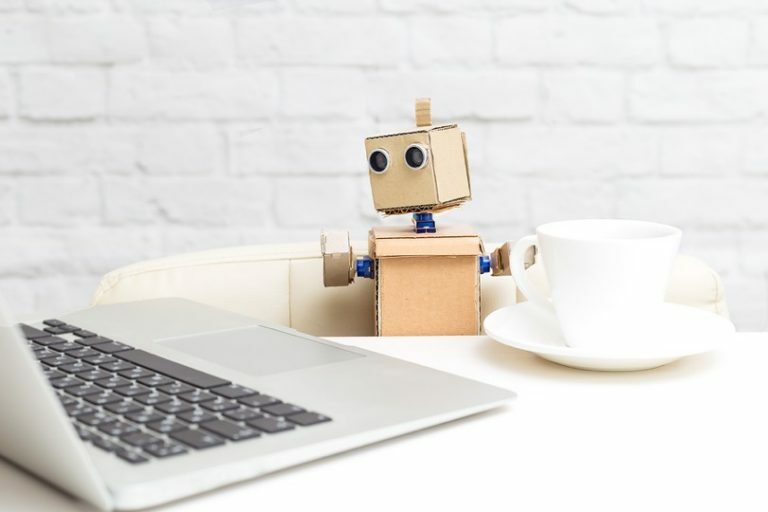 Professionals in many fields are grappling with the fear that they could be replaced by a cheaper and more effective AI, and marketing is no exception. However, others have made the argument that AI will only augment human capabilities – not take our place. I ask Buceta what she thinks the future holds for AI in marketing. “I absolutely think that it’s beneficial,” she says. “I think that we should take the opportunity to test these technologies. We’re always looking for ways to introduce new solutions for our clients and provide a competitive advantage, and in this case, the algorithm managed to deliver results. “Also, because these accounts are so dynamic and we have to create so many different ads, it can be challenging to come up with new, engaging copy – so it also saved us time, and did so in a way that replicates human copy. To get a sense of how Phrasee’s new tool came into being, I asked Phrasee CEO Parry Malm what prompted his company to branch out from email and into the realm of paid social ads. I asked how the technology behind Phrasee’s AI-generated ad copy works – is it significantly different from the tech used to generate email subject lines? Having seen some of the examples of ad copy that Phrasee’s tool produced for Facebook and Instagram, I was most curious about how the AI managed to integrate emoji into ad copy – in exactly the same way that a human might have done. How could an AI understand the meanings of different emoji, let alone where and when to place them in a sentence? Of course, Phrasee’s algorithms aren’t created and maintained in a vacuum, and the company has some extremely knowledgeable linguists on its team, which no doubt helps a great deal – especially when it comes to capturing each brand’s distinctive voice, which Phrasee is very proud of being able to do. “We have an entire team of computational linguists,” says Malm. “We’ve also built an in-house programming language for language. Our linguists construct language generation models tailored to each brand. So, where does Phrasee plan to go from here? I ask whether the company has plans to expand into any other areas of copywriting – like perhaps other social channels, or paid search? Malm tells me that there are definitely plans to expand into other areas (though he won’t say which) – in fact, they’re “already deep in alpha tests on a number of different channels”.